H ave you put together a social media marketing plan for your business? Are you finding it difficult to formulate a social media marketing plan? Though most companies now understand why social media is important, not all of them are able to create successful social media marketing strategies for their businesses. In this post, I'll share seven practical, essential steps towards building an effective social media marketing plan for your organization. Are you sure that you've chosen the right social media channel/s to invest your time and resources in? 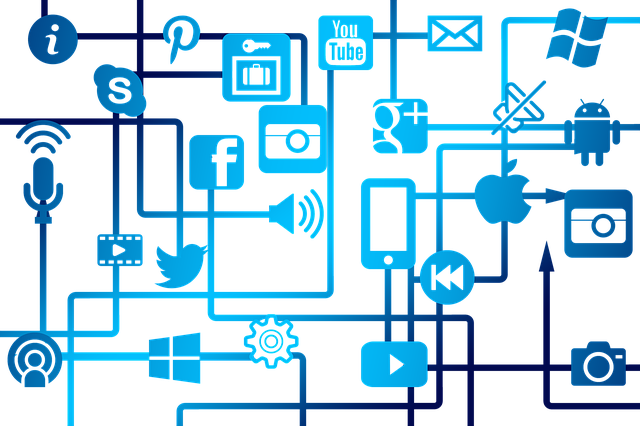 Selecting the right social media platforms is a must in order to create a successful social media marketing process for your business. So how do you pick the best social channels for your brand? Find out which social media platforms your potential customers use, how much time they spend on social media, what times they're most active, and how they interact with each other. For more tips on determining where your audience is most active, Andrew Hutchinson, head of content and social media at Social Media Today, has provided three ways to find your target audience on social media in this post. What do you want to achieve through your social media marketing efforts? Do you want to raise awareness for your business, or do you want to sell your products? Or maybe you're looking to enhance connection with your fans. Goal setting is the cornerstone for any successful social media marketing strategy - if you don't know what you're trying to achieve, you have nothing to measure your performance against. So how do you define your social media marketing goals? You should also make sure that your goals are aligned with your company's over-arching strategic objectives. Some businesses set different goals for each social media network, which can also be good practice. Based on the needs of your organization, you should consider 2-3 goals per network. After determining the goals of your social media marketing strategy, next you need to identify your key success metrics to measure their effectiveness. Not all of these metrics will be useful for your social media marketing plan - you need to pick the metrics that are aligned with your overall social marketing goals. If selling through social media is your main motive, you should focus on referral traffic to your website and subsequent conversion. Measure sentiment if building your brand image is your key objective. You've outlined your target audience, you've set clear goals for your efforts, and you've identified your key success metrics. Now you need to audit your current social media marketing presence to see how it lines up. Without knowing where you presently stand in the social media space, you can't construct an effective, realistic marketing plan for your business. So how do you go about auditing your current social media presence? You should always audit your current social media presence according to the goals of your social media marketing plan. Make sure you check every element that'll have an impact on your end goals. Tools make difficult tasks easy to complete, and social media marketing tools are no different. Picking the best tools for social media management will not only make the various tasks easier, but it'll also save you a boatload of time. However, selecting the right tool can be a daunting task, as all social media tools claim to be super effective. So how can you choose the best? What you want to accomplish through social media? What encouraged you to look for a social media tool? Which social media networks do you want to target? Do you want to run paid social media campaigns? Do you want to do social listening? Most social media marketing tools come with a free trial, and it's advisable to test out a few tools before making any final decision. The success or failure of your social media marketing strategy will come down to the content you create and curate. When you're creating or curating content for social media, the key is to ensure that the content you share is audience-specific. This will help you maximize engagement and boost brand awareness. Even the best social media marketers formulate their social marketing plans through a level of trial and error - analyzing the data to optimize social media strategies is critical to the success of your social media marketing plan. Also, by tracking and analyzing the key elements, as denoted in your social marketing plan, you'll be able to boost the ROI of your efforts. How can you analyze and optimize your social media marketing plan? You need to measure the performance of your strategies according to the key success metrics you outlined in the beginning, then tweak your plan for optimal success. You can use tools like Buffer or Sprout Social to track and analyze your social media marketing activities, then measure those metrics against your KPIs. Remember, an awesome social media strategy is never set in stone. As with the social platforms themselves, it's a work in progress. Creating a social media plan for your business shouldn't be a tedious, tiresome task. If you follow these steps, you can easily formulate a successful social media plan, which, ideally, will help put you ahead of your competitors.